Hi! My name is Jean-Hubert Fabre. I’m visiting from France where my family owns several properties in Bordeaux and I’m interning for the next few months at Total Wine & More’s headquarters in Potomac, Maryland. I thought it would be fun to write about the Tour de France from a wine perspective, I hope you enjoy my posts! The 99th Tour de France started on Saturday June 30th and is made up of 20 stages, which represent almost 2,200 miles. The runners will cover this distance in 23 days and the final stage will be, as all years, on the Champs Elysees in Paris. I want to use this event to allow you to discover French wine areas. You will be able to discover beautiful places like Champagne, Alsace and Burgundy. At each stop, we will tell you about their wine history, winemakers who work with Total Wine and with which recipe you can drink these wines. Ten days after the start in Liege, Belgium, the Tour de France arrives finally in Burgundy! In Mâcon, the racing cyclists have a day off. I hope that they can visit some wineries! This place produces one of the world’s most famous wines. The notion of terroir finds its fully expression in Burgundy. 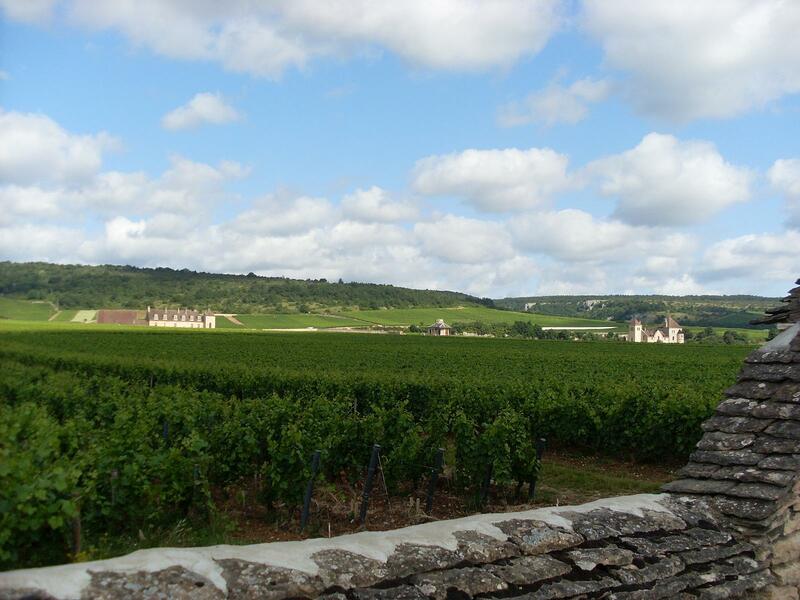 “Climats” in Burgundy are small parcels which form a mosaic. There are several thousands of climats and 100 AOC only in this wine region! The Burgundy region is composed of 5 main areas (143 miles From north to south) : Chablis, Cȏtes de Nuits, Cȏtes de Beaune, Cȏtes Chalonnaise and Mâconnais. Here, Chardonnay and Pinot Noir are the main varieties. The both represent 82% of the grape varieties produced in Burgundy. Gamay and Aligoté are also planted but in a small proportion. And how do we speak of Burgundy and not include the famous dish Boeuf Bourguignon? 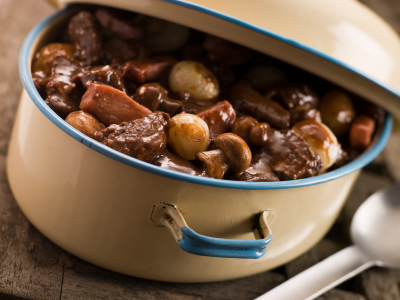 The beef Burgundy is the best-known recipe of the region. It is easy to cook it and no one is ever disappointed. The steak is cooked in olive oil, then simmered in beef broth and red wine. It’s seasoned with thyme and then mushrooms and onions are added. We suggest you to drink a bottle of Château de Chamirey 2007, a red Mercurey (Wine Spectator-90 points). An excellent vintage with a red cherry and vanilla flavors.